Today I’m releasing my tutorial on how to setup a WebRTC IP logger. It is capable of bypassing VPNs and few proxies. Before we get started, here’s what you’re going to need! + A basic understanding of technology. First thing you’re going to need to do is download the WebRTC files. You can do this by clicking anywhere on this paragraph. You will need these files in order to complete the next steps, this will be the active ingredient in your scheme. PLEASE NOTE, IF YOU SET UP WEBRTC ON A SERVER, THE DIRECTIONS WILL NOT BE THE SAME, AND YOU WILL HAVE TO DO SOME GUESSWORK/EXTRA RESEARCH. 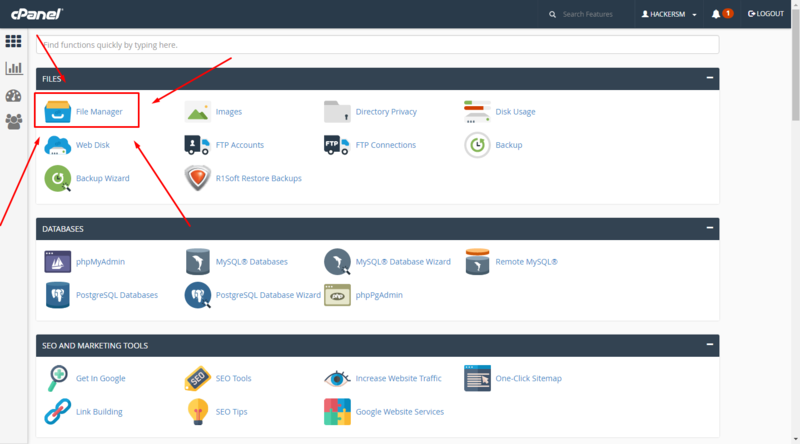 Once you have your webhosting setup, navigate to your cPanel and find ‘File Manager’. For advanced users, connect via FTP or SFTP and go to /var/www/html. Now, near the top of the page in the file manager, find the upload button and click it. After that you need to upload the ZIP file you downloaded earlier in this tutorial. Finally, go back to the file manager, find the ‘Refresh’ button. Click it once. The ZIP file you’ve uploaded should appear. Now find the ‘Extract’ button. Click it once. Everything is now setup! Whenever anybody visits your site (on the domain you registered the host with), it should bring them to a page saying “Error!”. If you’d like to change what it says, make sure you’re still in the file manager. Click once on ‘index.php’. Now find the button on the top that reads ‘Code Editor’. It may ask you for an encoding check, simply click ‘Okay’ or ‘Edit’. Now look for ‘<b>Error!</b>’ near the bottom. Edit ‘Error!’ to whatever you wish to display to those you have logged. Click ‘Save’ on the top, close the tab. To view your logs, go to whatever domain you have and add /log.txt at the end. If you haven’t logged anybody yet, it will say ‘Error 404; Page not found’ or something similar. If you’d like to protect yourself against WebRTC, simply install this add-on to your FireFox web browser!